Last weekend my fellow K-Town Fulbrighters and I went on our first big adventure away. 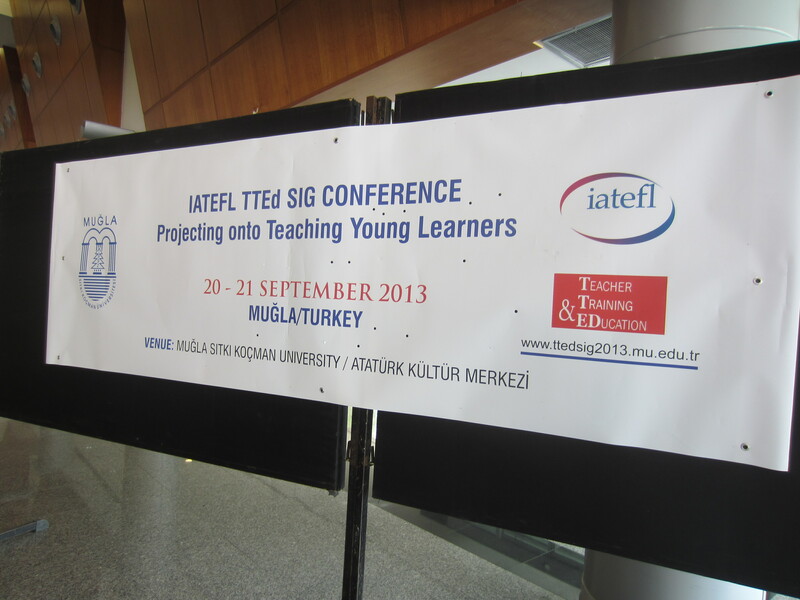 Two of our colleagues in the English language department were delivering a paper they co-authored at a conference at Muğla Sitman Koç University. 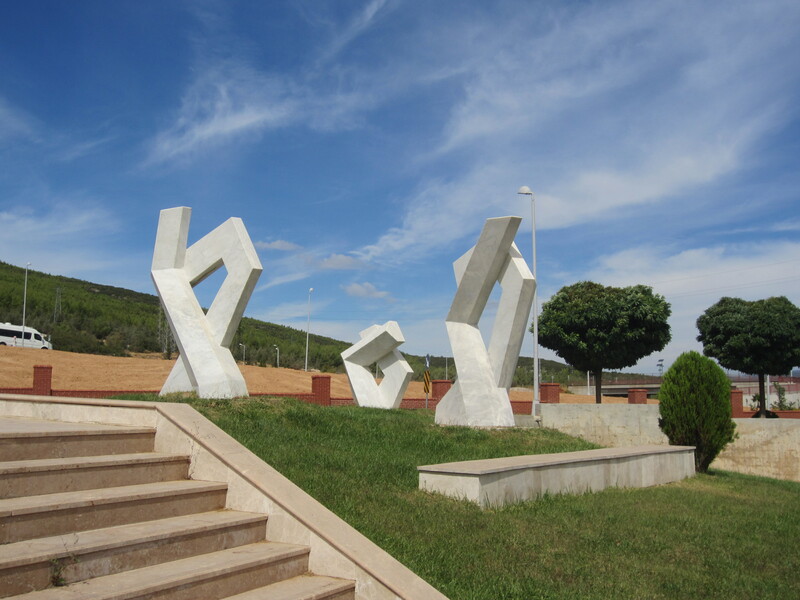 It just so happens that we have two fellow Fulbrighters placed there who could put us up. 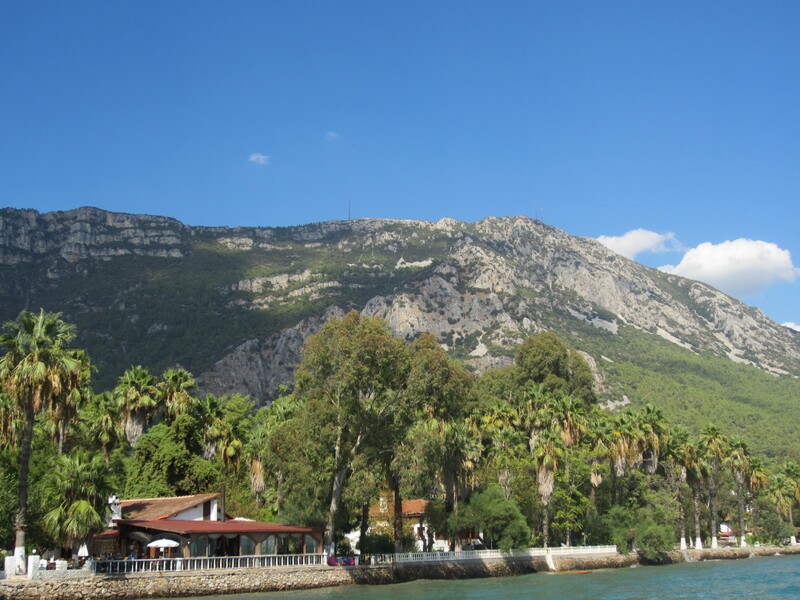 Seizing the opportunity, we loaded onto an 11 p.m. bus from Ankara (which we also reached by bus) and headed to Muğla (pronounced “moo-la”)! 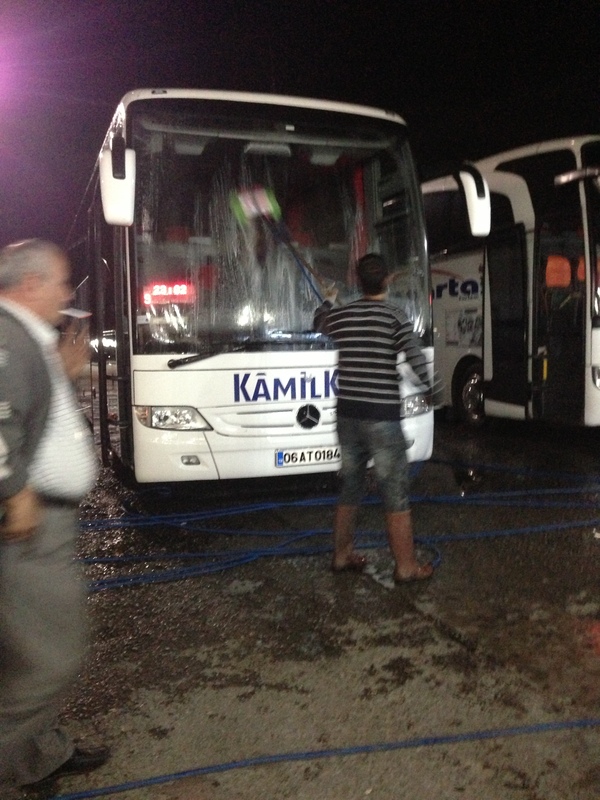 the bus get’s a washing at a 3 a.m. stop. buses here don’t have bathrooms on them, so the buses stop every few hours for 15-30 minute breaks. 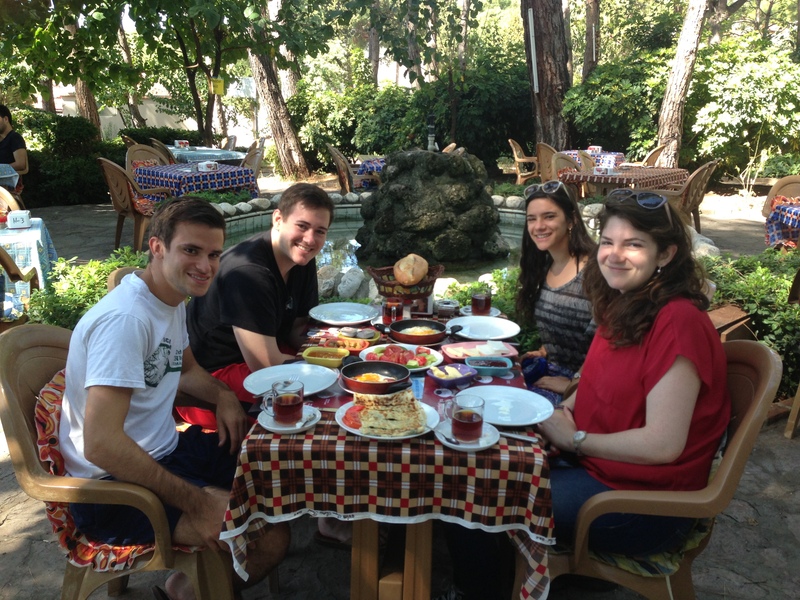 The three of us all live with English-speaking Turkish colleagues, and we speak English all day while teaching, so it is too easy to remain in our linguistic comfort zone in K-Town. (Relatively of course… our co-workers are essentially the only English speakers in the whole city. Basic interactions to buy groceries, ride the bus to the university, etc. 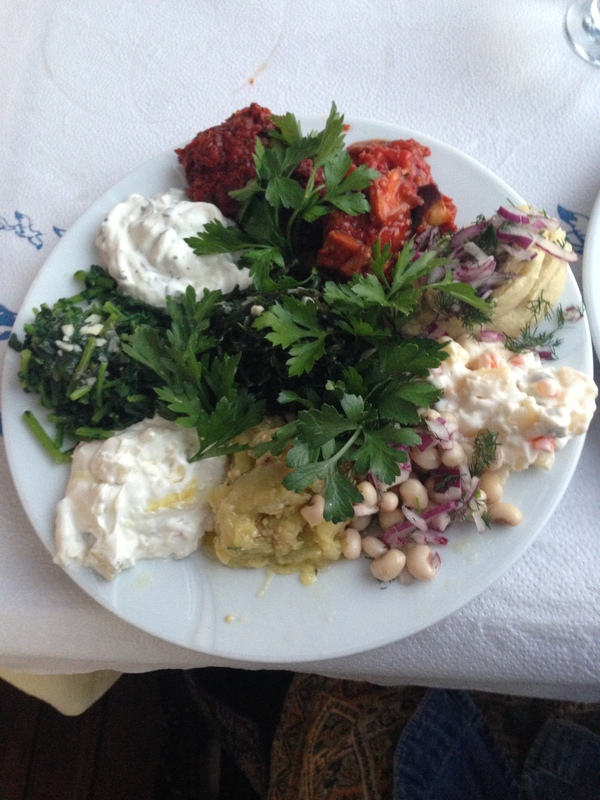 all require some basic Turkish, but not much.) 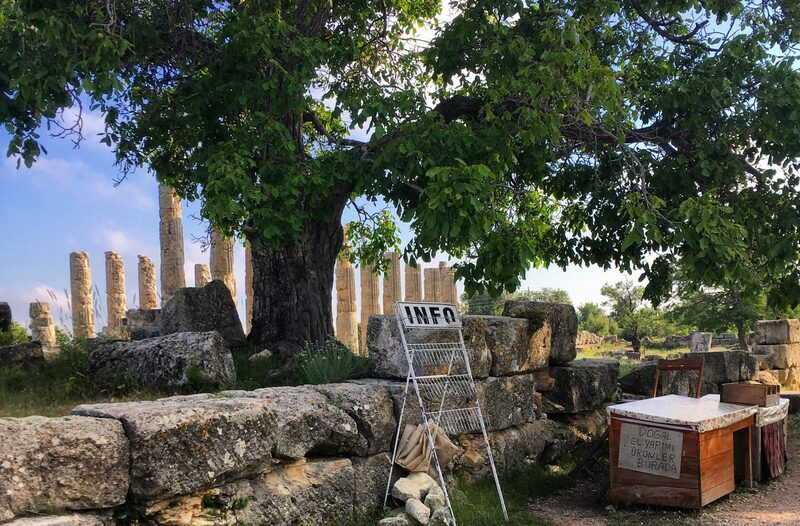 Traveling is an awesome way for us to get out, practice/ be forced to communicate in Turkish, explore new places, and learn more about ourselves, each other, and this beautiful country, Turkey, in which we now live. 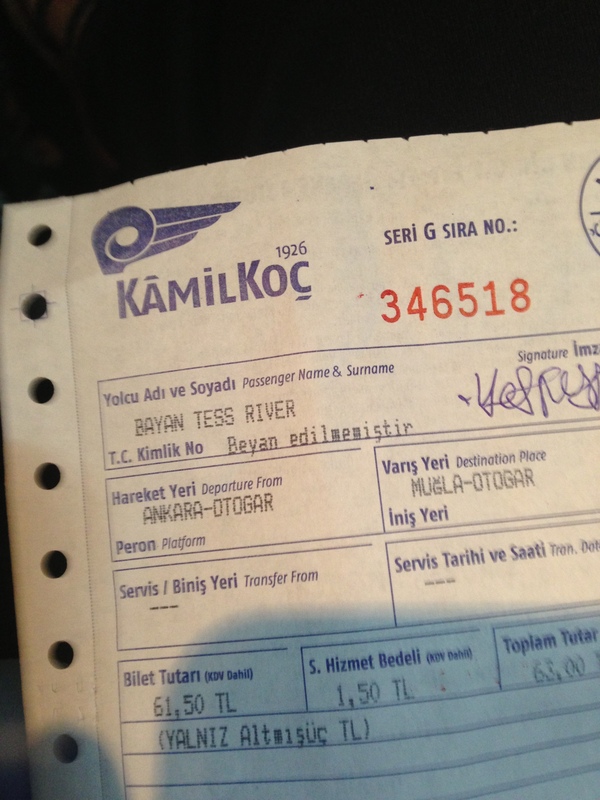 A consequence of what we’re calling “linguistic impotency…” handing my ohio id to the bus ticket man to help him spell my name resulted in this new persona: Bayan (Ms.) Tess River. 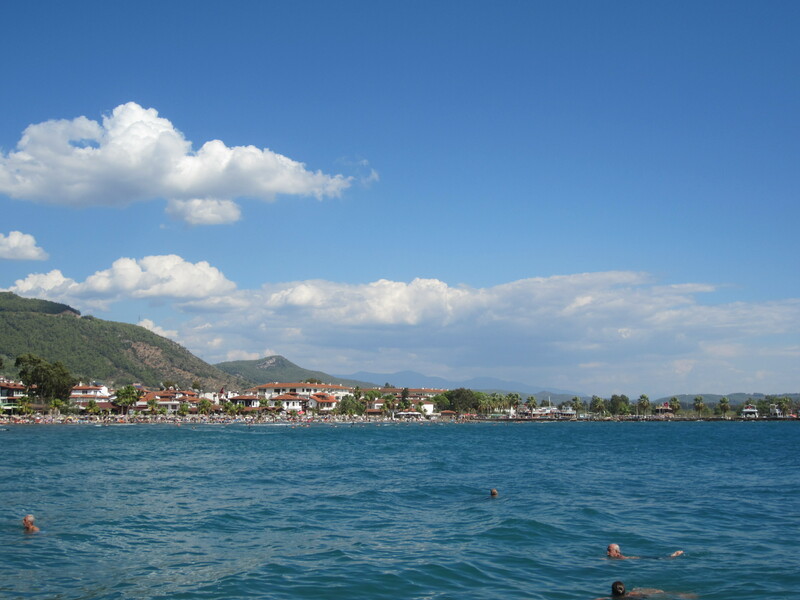 Muğla is a small city in the Southern Aegean region. 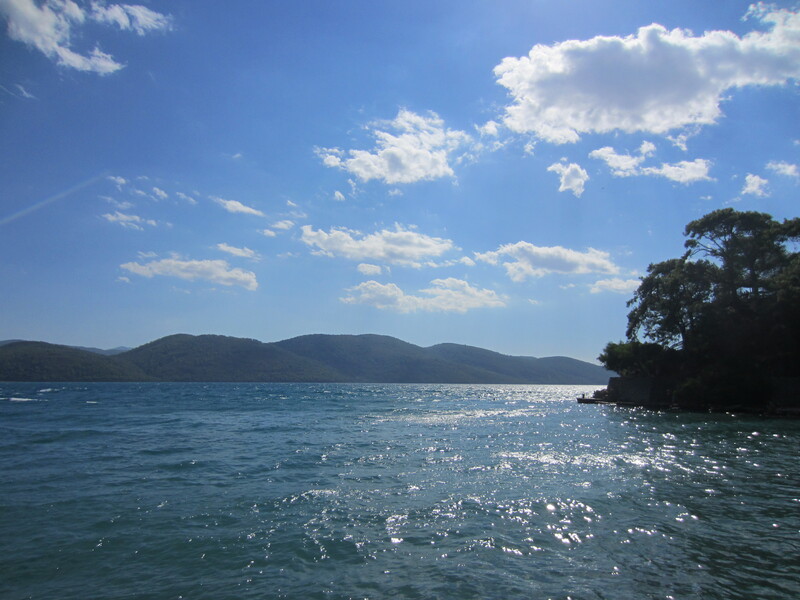 Actually, we spent most of our time in Akyaka (pronounced ah-key-ah-ka), a small resort enclave on the coast, where our FF (Fulbright friend/s) are living. Though I knew, of course, that the living situation of each Fulbrighter varies widely depending on placement city, I couldn’t help but groan with envy while stretched out in my bathing suit with the sun overhead by the swimming pool at his apartment Friday morning when we arrived. Like many Turkish cities, Akyaka is home to a crazy amount of stay cats and dogs, but we were additionally amused by the maybe 15 chickens one of FF’s neighbors keeps outside the house, where they wander around on the street! 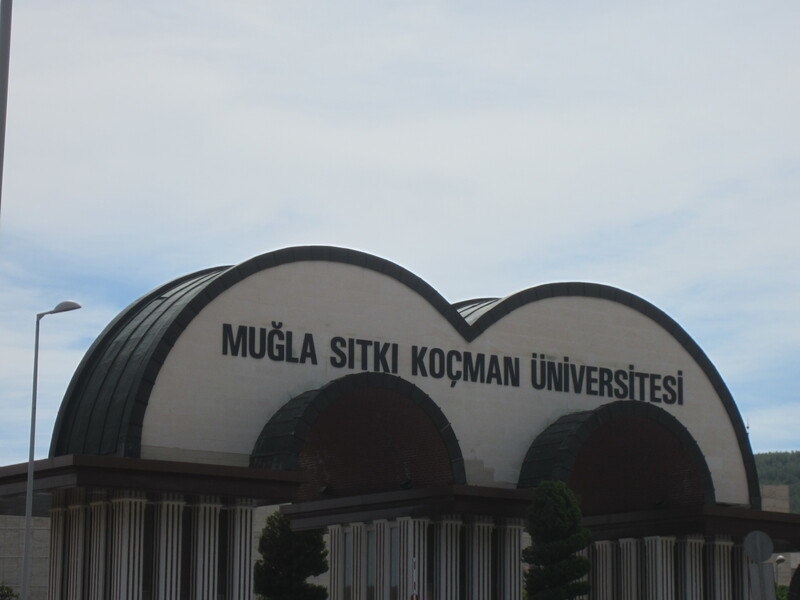 In the afternoon we hopped on a dolmuş(minibus) to head to Mugla University, where we met up with our K-Town colleagues, explored campus, had a nice lunch together, and attended our colleagues’ presentation. 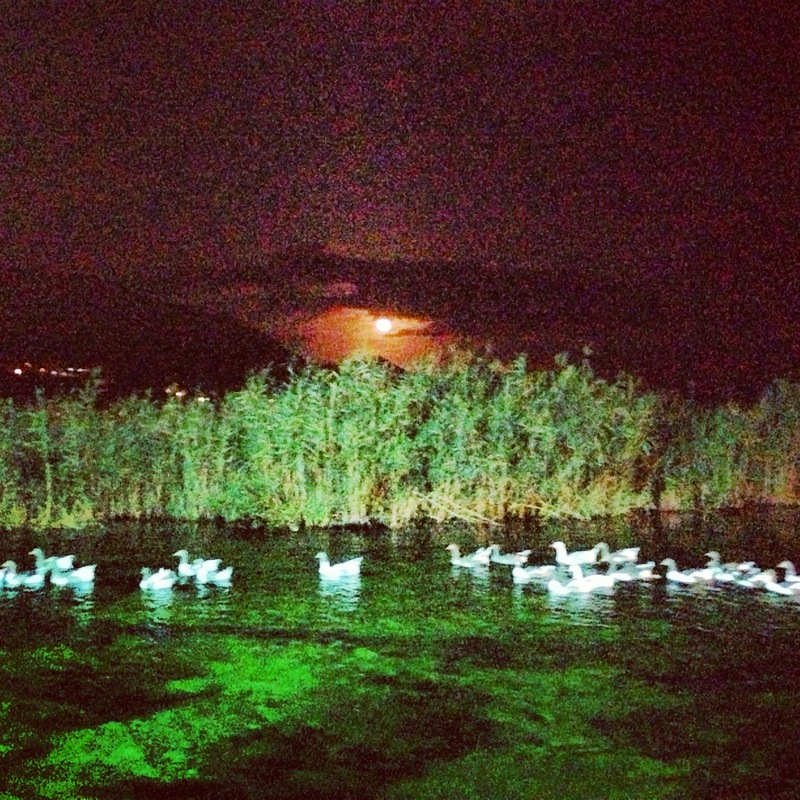 Later that evening, the whole K-Town crew and FF enjoyed a lovely waterfront seafood dinner in Akyaka along the Azmak River, where we were entertained by hordes of ducks who strategically float around, hoping for bits of ekmek (bread) to be thrown their way by diners. After parting ways with our colleagues, we set out to indulge in a luxury K-Town doesn’t afford: local watering holes. The next morning the K-Town Krew + FF smashed on an amazing Turkish breakfast, a standard meal and cultural practice which warrants its own treatment in a separate blog post. With the sustenance it deliciously and inexpensively afforded (about $4 USD/person, in a resort town on a Saturday morning! 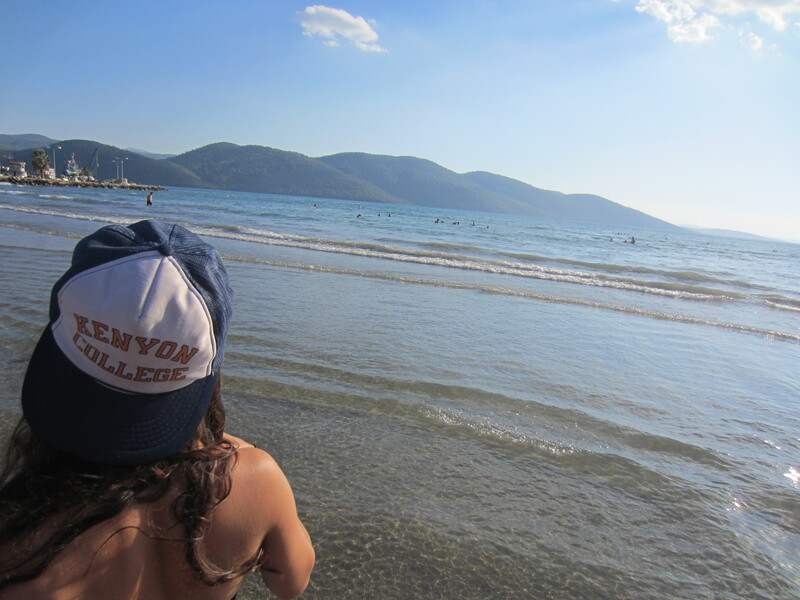 ), we set off for the beach. 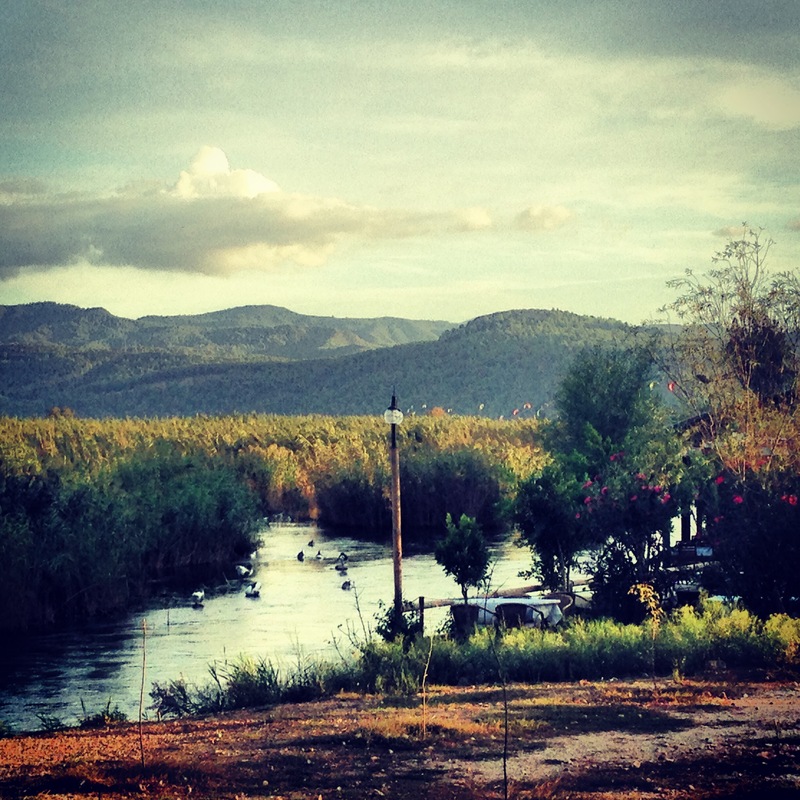 The waterfront at Akyaka is certainly one of, if not the most beautiful places I’ve ever been. We hiked up through a nearby park, and were able to get a number of great shots of the water, and the area. 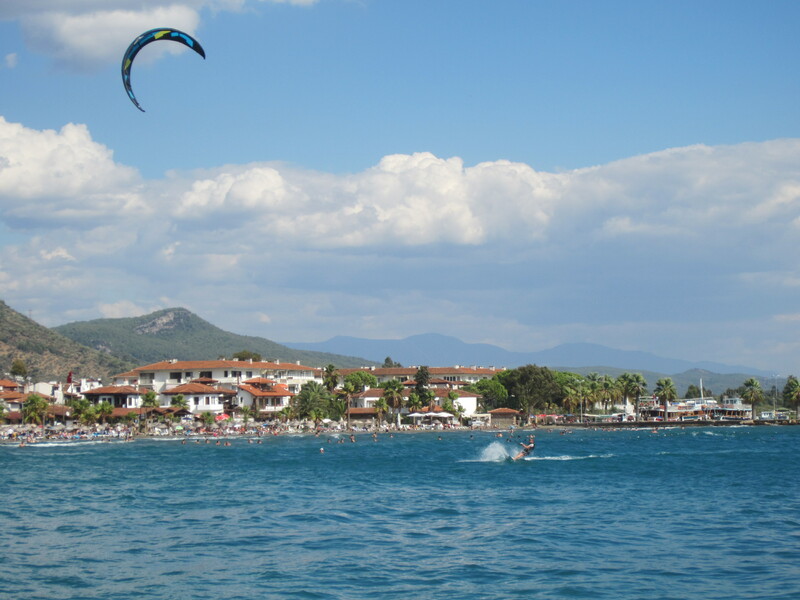 There was a kite-surfing competition happening about two miles away, which was cool to watch from a high vantage point. 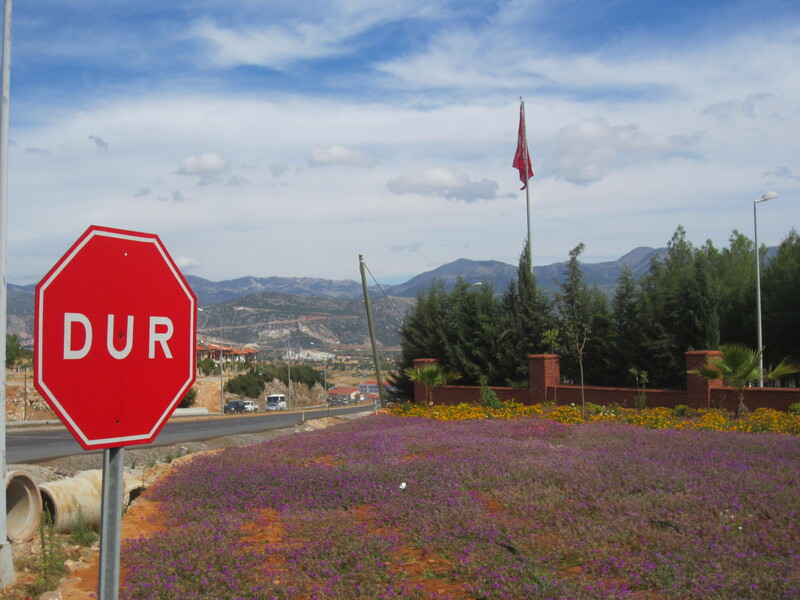 This region is known as “the Turquoise Coast” for a reason! I’ll let these pictures do the talking. 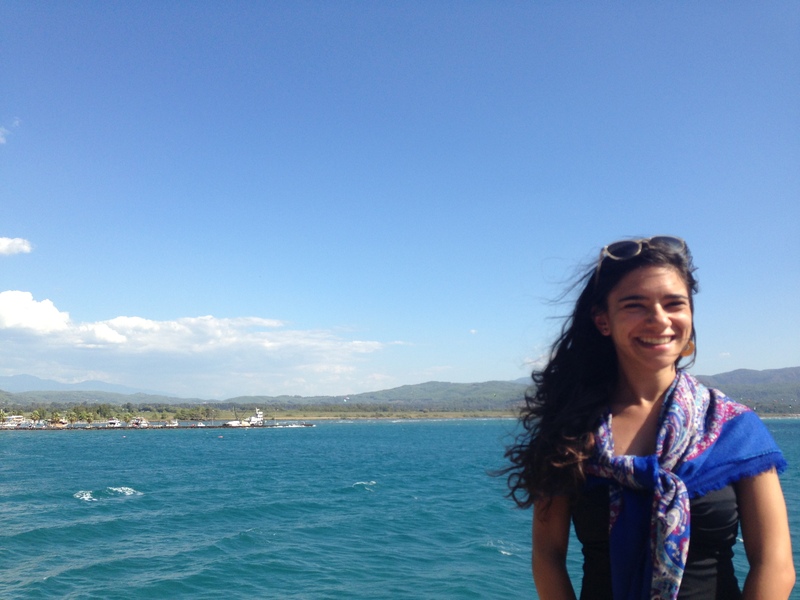 all smiles on the Turquoise Coast! Later that evening, on invitation from FF’s awesome landlord and a group of friendly ERASMUS (a European university exchange program) students, a crew of us boarded a rented minibus bound for Marmaris, a nearby resort town known, among other things, for its nightlife. 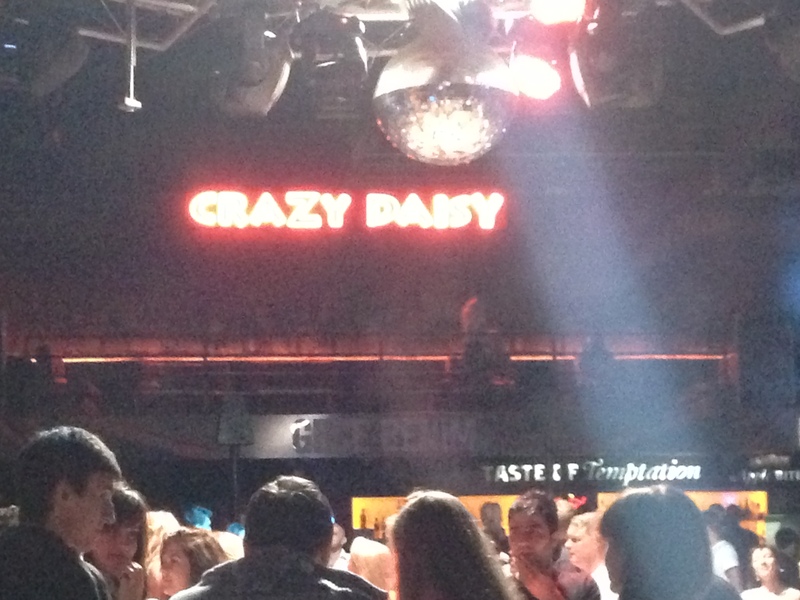 We boogied at an open air disco named “Crazy Daisy” (hilarious). 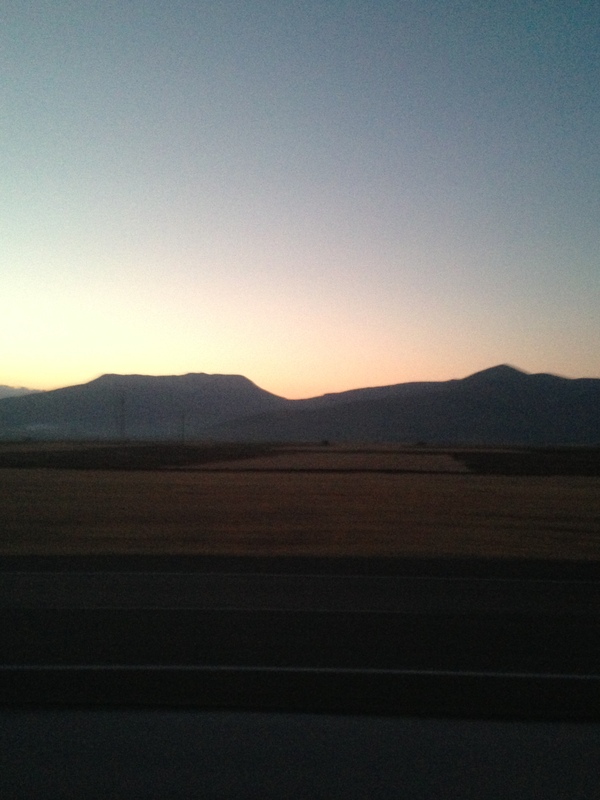 In the not so wee hours of the morning we headed back to Akyaka, grabbed a few hours of sleep, and headed to the Mugla bus station for the bus ride back to Ankara, which I thought might never end. Overall, an awesome weekend in a beautiful place with great people. What more could I ask for? 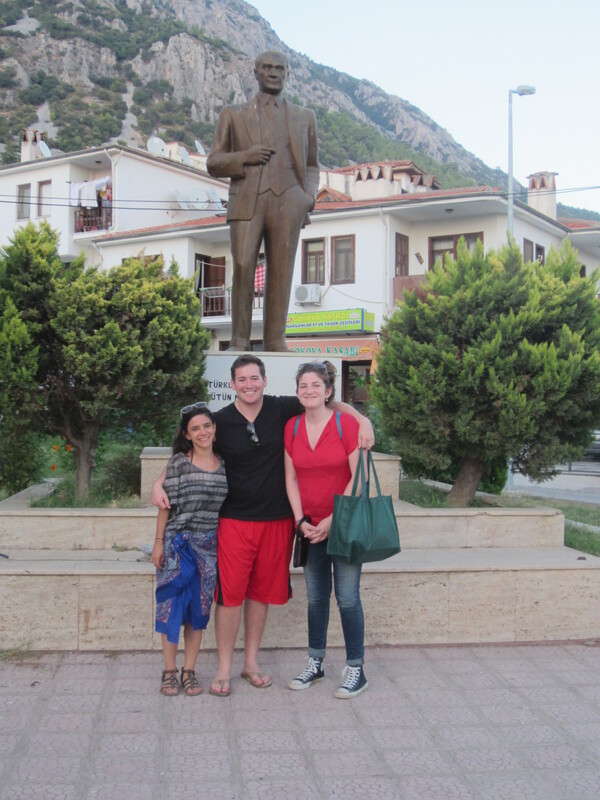 A new tradition: K-Town Kids pose with Ataturk in every city they visit. Many more to come!